Now that the Bruins are four days away from the end of the regular season, DrHandgrenaid and I have come up with a couple of answers to the many many many questions regarding the Bruins defense moving into next season. Stick with us over a three-piece article on what we think that the Bruins should do. As we all know, the defensive group of the Boston Bruins can be all sorts of scary. With the NCAA playoffs underway, the Bruins have a couple of defensive prospects that need contracts and can make an impact in the AHL, and hopefully, the NHL level. Of course, I am talking about Matt Grzelcyk from Boston University and Rob O’Gara from Yale. The Bruins have an aging core of defenders plus several RFA/UFA players among the eight defensemen on their NHL roster. Sweeney has his work cut out for him just to get an NHL defense squad lined up for next season. Down in Providence, the situation is a little less clear. According to GeneralFanager only Linus Arnesson has a contract moving into next season, whereas everyone else is RFA/UFA. However, prospects may play a major role in the Bruins roster in the next year. The Bruins have Matt Grezlyck and Rob O’Gara, both of who have signed their respective ELCs within the past week. Brandon Carlo, having finished his stint with the Tri-City Americans of the WHL, has signed an ATO and is already playing in Providence. So who plays with Zdeno Chara? Zach Trotman and Joe Morrow have not been consistent enough in the line-up to show they’re ready for prime time minutes. At 35, John-Michael Liles would be a huge gamble despite the solid game he’s played for the Bruins so far this season. 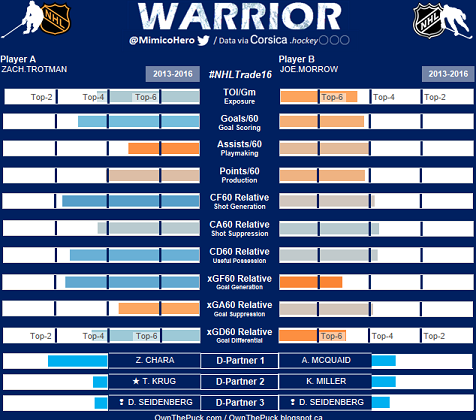 If you look at the raw numbers, it would make the most sense to re-sign both and pair Trotman up with Chara, which is what most people thought would happen at the beginning of the season. I would give both of them a one year “Show Me” contract of less than $1 million. With the signings, the defense group now costs the Bruins just under $22 million against the cap, leaving around $12 million to fill the gaps in the forward lines and back-up goaltender position. So now that Colin Miller is out of Providence and Arnesson is the only player that has a contract, what does this “good defensive future” entail? Well, there’s no way that O’Gara and Grzelcyk don’t sign their entry level contracts at their seasons end. So, there are two more in Providence. Carlo is already in Providence on an ATO, making that makes four defensemen. I expect current Providence Bruins Captain Tommy Cross and Chris Casto also to return. Giving Cross a two-way deal heavy at the AHL level gives him more of a “We still want you with the team” type contract. Casto at 24 could still develop into something. Honestly, projections are not great for Casto. It’s possible that Sweeney could sign an undrafted free agent or two from college to fill out the roster. That would be the easy way out. Currently, there are pieces in the system that won’t cost too much having already shown that they can play at the NHL level. However, both Doc and I don’t think that’s the right way to go. Let us know in the comments how wrong we are and see if you’re correct in your predictions tomorrow. I don’t think Morrow will be back next season. 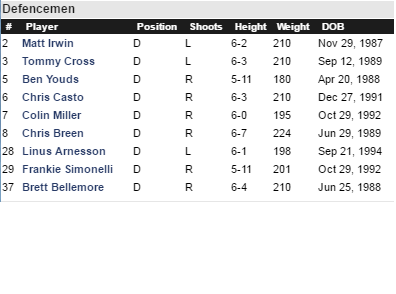 If you look at all blueliners’ TOI this season, the only guys Morrow beats out are Tommy Cross & Matt Irwin. It won’t be a popular decision, but I think Killer will be back next season – he’s played more this season than Trots & JoMo combined. I think it could be a toss-up between Trots & Chiller – Chiller has played in 1 more game, but Trots has 84 more minutes. They could both wind up out if the Don decides the team needs the stability of experience & opts to re-sign JML. You know, I don’t even care if Killer is back next season… if they don’t expect him to play above his role. That’s the issue, though. Killer’s been a better option lately than he was earlier in the year. I’d be shocked if he wasn’t back. Irwin got chased out with fire – he’s obviously gone. You may be right with Morrow. He’s been more popular with the fans than with Claude. I think he and Chiller are kind of redundant, but I like them both. The top pairing is still a glaring hole and I don’t see either of those two really being options. The thing with K. Miller is that him & McQuaid are such similar players, and with McQuaid’s contract, I doubt it would be of the Don’s interest to re-sign him. Miler is good for a bottom pairing role, which McQuaid & Krug lock down now already. Sure Krug can play top four, but then you’re looking at a who pairs with either of them, and that’s a road (right now) that looks scary. Morrow’s age and potential is what gets him one more year here for me. Great point though for sure. I’m gona stay up for this one. I’ve been getting out of work early lately and have asked for pretty much every day after the bruins game off. My boss is pretty cool about it so I can sleep in. Now I’m back in Italy from my European tour, my girlfriend went to see family in Germany for about a week so I’ll be getting my Bruins fill just in time. Only thing is I’m streaming on my phone. Because I need a 3 prong converter that i will get thursday. Might pop in for the intermissions but if I get tired I won’t see you til tmrw. Go Bruins! I’ve seen enough of Trotman. He’s not capitalizing on his moments and keeps ending up on Nacho Duty. Even Morrow leapfrogs him. I would keep Morrow, pull up Chiller, let Trots walk. Maybe see if something could happen in FA. If the Bruins don’t make the playoffs, accept a true rebuild and blow up the D. Seriously, everything must go. 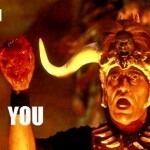 I would blow up the D in a heartbeat over allowing Claude to be fired, not that that was the topic at hand.